Make a one time donation to help us out! become a dog aide hero! Help Dog Aide continue their mission with a recurring monthly donation and you'll become a Dog Aide Hero! All donations are tax deductible, Dog Aide is a 501(c)3 non-profit organization, Tax ID #45-5352922. Donate to Dog Aide when you shop! ​Looking to Buy or Sell a house? Why not help raise funds for Project Grace at the same time? 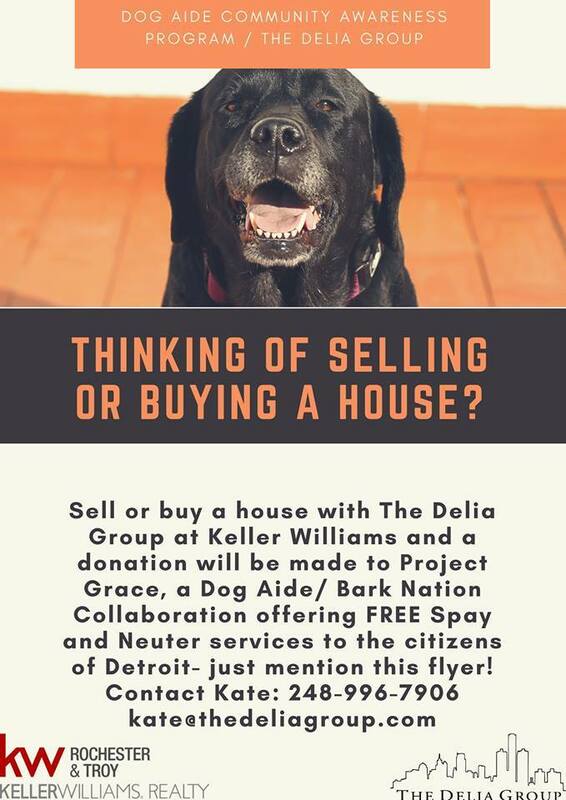 The Delia Group at Keller Wiliams Rochester & Troy has generously offered to make a donation to Project Grace when you sell or buy a house.